Why Am I Increasing Bone Density In One Area Faster Than Others? Hello, my name’s Lara Pizzorno. 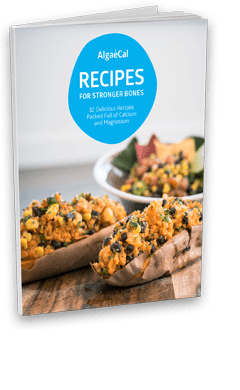 I’m the author of “Your Bones” and I’m here to share some information with you that I hope will help you to have healthier bones. I will as usual be providing references from the periodic PubMed literature but this question has not yet been specifically investigated in any research that I could find. From what has been published however, I have some educated ideas, and I will share them with you, and they furthermore have been confirmed by what many of us have been seeing. Also, it’s important to know that even if your bone mineral density has not increased on your DEXA in all areas yet, this does not mean that all areas in your body are not rebuilding, just that some of them will take longer to fill in enough to show up on a DEXA scan later. Remember, changes that show up on a DEXA typically take as much as a year to manifest there. In the meantime, you can use several lab tests, one requiring a blood draw, the other a urine test which I will go over shortly. To confirm that you’re no longer losing excessive amounts of bone, remember we must all be continually losing a tiny bit of bone to clear out the old decrepit bone to make room for the new bone that we want to build to have healthy bones. I also want to remind you that starting in our early 40’s a bone loss of at least 1% in bone mineral density every year is considered normal. A loss that normally increases to around 2% per year during menopause. Both men and women start losing bone as early as in our 30’s immediately after we attain peak bone mass, and long before any drop in estrogen or testosterone production occurs. The type of bone that we start losing first as early as in our 30’s is called trabecular bone, T-R-A-B-E-C-U-L-A-R, trabecular bone. We have two kinds of bone, trabecular bone and cortical bone, which is spelled C-O-R-T-I-C-A-L, cortical bone. If you think of your bones as an M&M, the trabecular bone is the chocolate interior, and the cortical bone is the hard candy shell on the outside. The spine contains a larger percentage of trabecular bone, the soft spongy bone, then the femur or your hip, the Ward’s triangle area that is measured on your DEXA. In women, the loss of trabecular bone, particularly in the spine, accelerates greatly after menopause. This is due in part to the drop in estrogen. Cortical bone loss typically does not begin until after the age of 50 in both sexes although it occurs at a faster rate in women than in men. So starting in our 30’s right after our peak bone mass we begin to lose bone. Primarily, trabecular bone at a rate of about 1% per year. Then, when we are around 50 which is the age at which most of us are entering menopause, we also begin to lose cortical bone and the rate of bone loss increases to about 2% per year during the transition through menopause, that is unless you’re taking Algaecal Plus, which is the only calcium related supplement that’s ever been shown to reverse this. Nonetheless, in women the loss of trabecular bone in the spine accelerates substantially after menopause as does the rate of fractures in the wrist, spine, and hip. So, if your DEXA shows that you are rebuilding bone in your spine more quickly than in your hip, this is great news. In most of us, bone density increases are first seen in the spine, and why is this? Well, most likely because the spine contains much more trabecular bone, the soft spongy bone, than our hips or femurs which have more cortical bone. Another reason, we see bone building first in the trabecular rich spine, is the trabecular bone is much more metabolically active than cortical bone, which is the hard dense exterior bone, which is more prevalent in our hips and our appendages like our arms and legs. So benefits are much more likely to be more quickly apparent in areas rich in trabecular bone like the spine. This does not mean that cortical bone is not also rebuilding, but it just takes longer to show up. It’s important to remember that osteoclast activity, the specialized cells that break down old bone which are called osteoclasts, typically takes about two weeks. Then the body shifts gears to get our osteoblasts, the cells that build new bone ready to go, that takes another couple of weeks. And then, the osteoclast, laying down of new bone for us takes three to four months or as long as up to six months. So to be sure that you are on the right track, and you stop losing excessive bone, and have begun to rebuild you can check to see that this is occurring with blood tests and a urine test which can be run within a month or so after you begin to take Algaecal. And you can repeat these tests after several months more as well if you would like and if you’d like further reassurance. and you can also have run a 24-hour urinary calcium excretion test. The CTX or C-terminal telopeptide measures a specific cross-link peptide sequence that is found in bone and is the portion that is cleaved out by osteoclast during bone resorption. Serum levels of this special peptide sequence are proportional to osteoclast activity at the time that the blood sample is drawn. The test used to detect the CTX marker is called the Serum CrossLaps test, and current research indicates that it is more specific to bone resorption than any of the other currently available tests. And there are several that check this, but the CTX is the one you should ask for. It’s the most accurate. Initially, urinary levels of CTX were measured but they found that the urine test results fluctuated spontaneously, and in contrast the newer serum or blood tests for CTX show minimal fluctuation and very high accuracy. So be sure you ask for a blood test for the serum test for CTX. The other test you can have run to check how you’re doing is the 24-hour urine calcium excretion test. This test checks the amount of calcium that your kidneys are removing from your body in your urine. Excreting excessive amounts of calcium in your urine is a sign that you’re losing bone. What you do is you collect all your urine over a 24-hour period. They’ll give you a large special container to do this. You typically follow your normal diet, and you drink fluids just like you normally would, but you may be told not to drink alcohol during the collection time. If you’re taking certain medications such as the diuretics or antacids, these could affect your test results. So you want to be sure to mention this to your doctor before you run this test. Many labs including direct-to-consumer labs offer both the CTX and the 24-hour urine calcium excretion tests. If these test results are good, you can relax and trust that your bones are happily rebuilding in response to taking your AlgaeCal Plus. I hope this puts your mind at ease, and I hope this has been helpful to you. Thanks for tuning in. As always, I very much appreciate your informative articles. I began taking AlgaeCal Plus and Strontium Boost in February 2015, following a bone density scan and a diagnosis of osteopenia. I have scheduled an annual physical for December and plan to have the CTX and urinary calcium excretion tests performed at that time. I too would like to know what to look for in the test results. I am a 60 year old postmenopausal woman. Will I be establishing a baseline and then having the tests again in several months? Please see Lara’s response to Paula above regarding the ranges for pre and postmenopausal women for the CTX. You will most likely be getting a baseline test done and then a follow up test several months later. 2 years ago I was told after taking bone test that I had severe bone loss in my spine. After taking Algaecal I went back for another test, my spine was back in the normal range with my hip and femur lagging behind, now I know why. Doctor said I would have to take another test because there was no way that I could grow bone much less be in the normal range. He was mad at me for arguing with him. Thank you for sharing your experience! Glad Lara could explain why you might be increasing in one area faster than others. It’s fantastic that you are back in the normal range! It’s unfortunate that your Doctor wasn’t so positive. I had a baseline CTX test in June a couple of days prior to beginning Algaecal Plus and Strontium Boost. My result was 769. There were not any reference ranges for my age group, 61 year old female, at that time. Are there any guidelines for postmenopausal, older women that you know of ? I am scheduled to repeat the test in November. Is there a certain “improvement” that I should be looking for ? that is found in bone: the portion cleaved by osteoclasts during bone resorption. Elevated levels of C-terminal telopeptide indicate increased bone turnover. The test used to detect the CTX marker is called the Serum Cross Laps, and current research indicates that it is more specific to bone resorption than the other currently available tests (such as the NTx or PyrLinks), so it’s great that the CTx is the test you have had run. The CTx test is often run before initiating treatment to get a baseline and then run again 3-6 months later to see if the therapy that is being used is being helpful. A decrease of 25% or more 3-6 months after the initiation of therapy (in your case AlgaeCal Plus and Strontium Boost) indicates a good response (less bone resorption is occuring) to the therapy being used. In June, your baseline CTx test result was 769 pg/mL, which is at the upper end of the normal range (104-1008 pg/mL). When you have your CTx test run again in November, which will be 5 months later, you will hopefully see a drop of at least 25% (or a test result that is at least 192.25 lower). So this would be a test result of 576.75 (or lower), which would indicate you are responding well to your therapy. Taking AlgaeCal Plus and Strontium Boost is an excellent foundation for regaining your healthy bones. I also suggest you consider supplementing with AlgaeCal’s new product, Triple Power. Over the last several months, I have been reviewing the latest research on the beneficial effects of the omega-3 essential fatty acids (EPA and DHA) which are provided in Triple Power and am frankly astounded at the number of ways in which these essential fatty acids both prevent excessive bone loss and help us build new healthy bones. Lastly, I urge you to read Your Bones (most libraries carry it, so you can read it without buying it or you can purchase a copy on Amazon). It is especially important for you to look over the sections on both the many causes of excessive bone loss (so you can see if one or more might be affecting you and correct it) and the whole range of nutrients our bones require (so you can check to see that your diet and AlgaeCal supplements are providing you with adequate amounts of all of them). Your Bones also contains a section on the lab tests that are run both to check for bone loss (including the CTx test) and to identify its causes. I very much hope this information will be helpful to you and that you will be delighted with your CTx test results in November.